Click “Shopper’s Survey” to view PDF file! Sorry that the image wasn’t clear! Happen to read from this magazine (called “Supply Chain”, if i didn’t remember wrongly?) in office while waiting for my contractors to come and found this survey! Very interesting facts! Online shopping has been such common thing now even my mom is doing it! 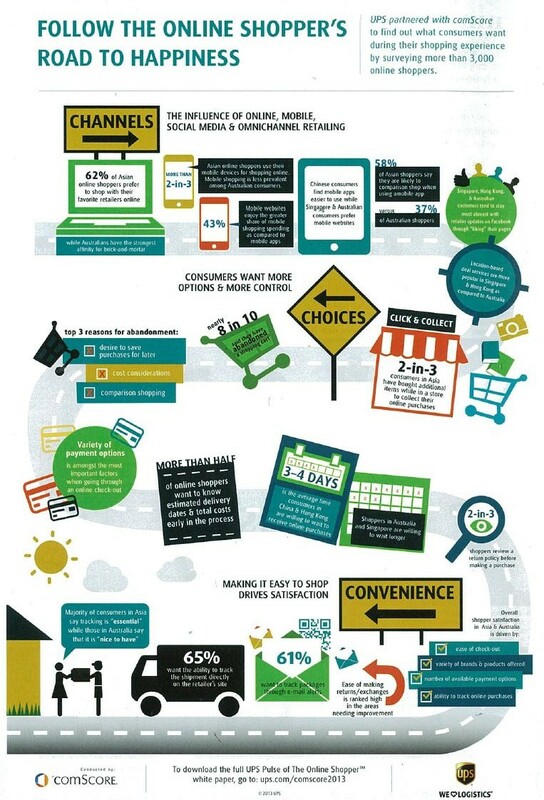 This survey was done by UPS & comScore (partnership) to find out what consumers want during their shopping experience! 3-4 days is the average time consumers in China & Hong Kong are willing to wait to receive online purchases; while shopper in Australia and Singapore are willing to wait longer. 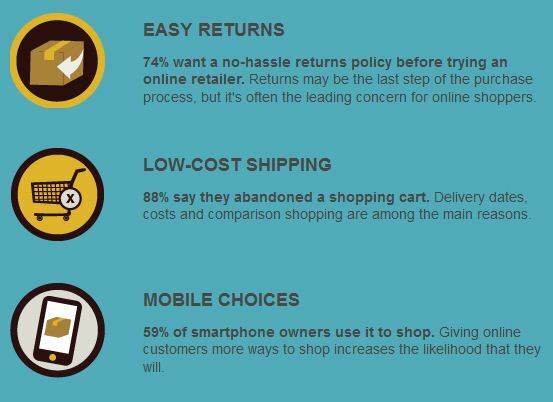 2 in 3 shoppers review a return policy before making purchase. Online shopping is definitely CONTAGIOUS! LOL.. I’m gonna go shopping now~~~!! This entry was posted in Facts/Tips by Tempted to Love. Bookmark the permalink.